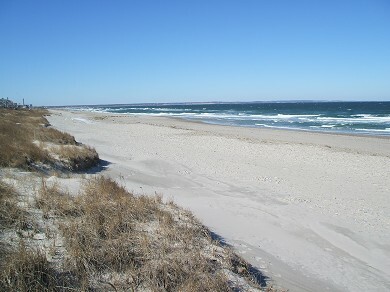 On the East Sandwich/West Barnstable line is Sandy Neck, a spit of land that reaches into Cape Cod Bay and is one of the Cape's most famous beach areas, with dunes stretching for more than five miles. Sandwich is home to Heritage Museums and Gardens, 76 beautifully landscaped acres of gardens and historical exhibits overlooking Shawme Pond. The museum and gardens are open year round, and concerts are performed in the gardens from June to mid-September. Sandwich was an early center of glassmaking. Today the Sandwich Glass Museum displays some examples of the glass that has since become a collector's item. The museum includes a theater and glass-blowing classes and demonstrations. 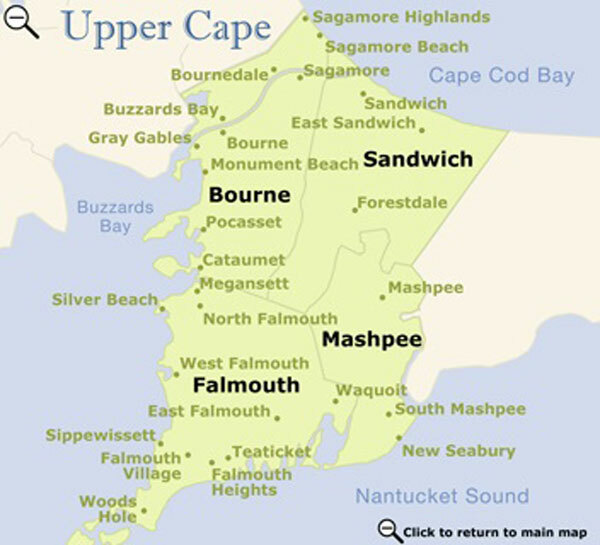 One of Sandwich's most treasured features is the 1,000-foot long Sandwich Boardwalk, which crosses Mill Creek and marshes and leads to a beautiful Cape Cod Bay beach. The Thornton W. Burgess Museum is located in an 18th century house on Shawme Pond. On display here are the works of the well-known children's author Thornton Burgess, who wrote more than 170 books filled with tales of Peter Rabbit and his animal friends. The Thornton Burgess Green Briar Nature Center offers nature trails and a spectacular wildflower garden. Adjacent to Green Briar is the 57-acre Briar Patch Conservation Area, home of Peter Rabbit. Another special walking area is Talbot's Point, 112 acres of nature trails and beautiful vistas.